Anything could happen! Known to cause a severe case of happy fever, this 10 piece brass band is sure to put a smile on your face in an incredibly unique live show. 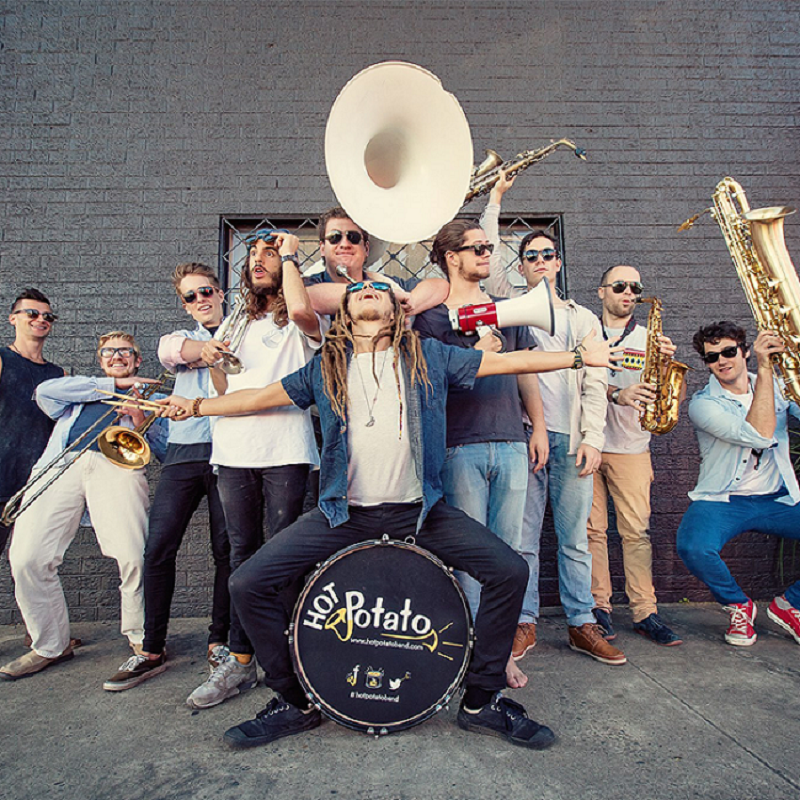 The Hot Potato Band have become one of the most celebrated festival bands in Australia. Evolving from their roots as a roving band on the streets of Sydney, they continue to capture their unique energy and interaction on stage. The band has put an Australian edge to its ‘multi-genre’ music which is influenced by ska, blues, funk, pop, reggae, afro-cuban and folk, as well as the classic brass band sounds of New Orleans. Beware, as they make you the centre of their performance… literally!